We specialise in the installation of condensing boilers and renewable energy products from Worcester, using the latest technology available. Modern condensing boilers improve efficiency to over 90%. Regular maintenance and servicing is a wise precaution, we can ensure that your current system is operating to peak performance, ensure against Carbon Monoxide leaks and prolong its lifespan. Our bathroom installation and refurbishment service is based on superior workmanship which is low-priced. Get in touch. We're waiting for your enquiry. If you require cost effective, reliable heating and plumbing engineers then look no further. We cater to all domestic and business customers central heating systems, gas services and plumbing requirements. Drayton Boiler Services offer affordable and reliable heating and plumbing services throughout Bracknell, Basingstoke, Yateley and nearby areas. With over 10 years in business, we have the knowledge and expertise needed to ensure that you receive nothing but the best service. Our reputation has been developed through hard work and reliability which is why we are the area's number one choice for plumbing and gas related work. We're waiting for your enquiry. We care about understanding your energy requirements. Our qualified, professional advisers are happy to discuss your energy needs. We can provide you with all the information you require and arrange a no-obligation visit. and assess your energy needs. Our professionals offer expert advice and a no-obligation quote. We are able to inform you of the best, affordable solutions tailored to your specific requirements. We make it our business to ensure you receive the best advice. by our energy saving experts. We provide the best quality workmanship and are as efficient as the solutions we install. We are professional, skilled and take care to ensure your energy improvements are made as swiftly and unobtrusively as possible. 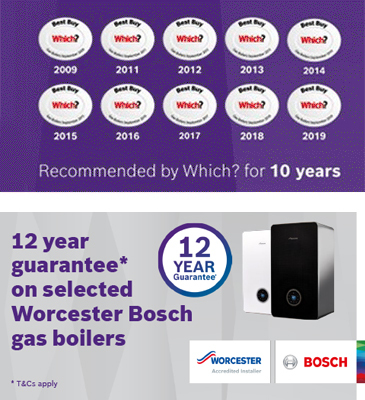 Thanks to Martin�s good work, our boiler has no doubt had its life extended as it was in the final year of its warranty. Your organisation has been servicing my boiler for six years and every interaction I have with any of your staff is always first class! Excellent service from beginning to end. Good advice and recommendations given from Andy who came to do the quote. Dougie who did the work was a really pleasant young man who was very hard working and kept everything really neat and tidy. I had quotes from larger companies but am so pleased in my choice to use Drayton. If you are within 25 miles of any of our offices we will serve you, just ring your nearest office.